Explanation of the cost of co-investing at The Grove, a designated portion of Centenary City Abuja open for investment. 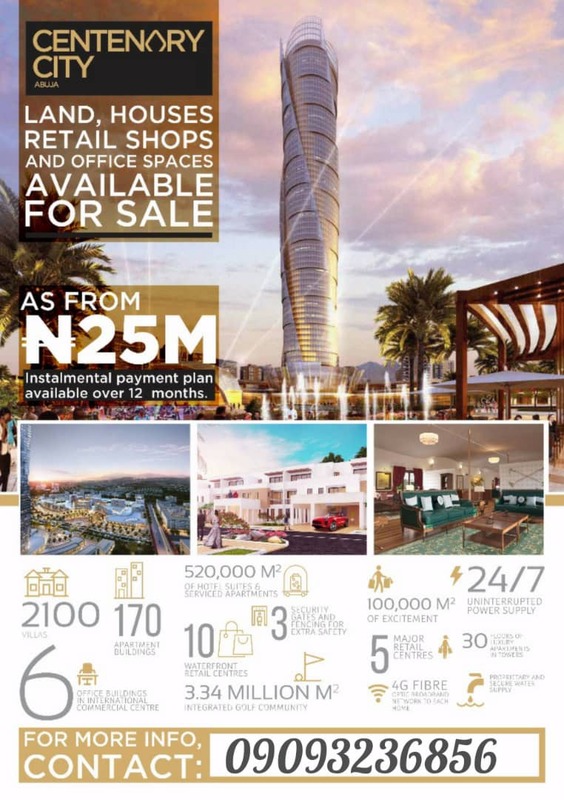 A section of Centenary City Abuja, called The Grove is what is currently open for co-investors to buy into. Here we have spaces for 4 units of 5-bedroom terrace buildings (4 plexes) occupying a total area of 800sqm and 6 units of 5 bedroom terrace building (6 plexes) occupying a total of 1200sqm (A, B, C, D, E, F). The 4-plex terraces are labelled A, B, C, D. The corner piece property (A and D) are more spacious, so more expensive, for example, A and D terrace spaces go for an average of N35million, while B and C goes for an average of N25million, depending on the location of the building unit (whether closer to the expressway or water-front). The 6-plex terrace buildings are labelled A, B, C, D, E, F, with A and F being corner piece, and as expensive as the A and D buildings of the 4-plex units. Note: Centenary City Abuja is an ECONOMIC ZONE, a Free Trade Zone. Businesses here are tax-exempt. It is the only Free Trade Zone in the country currently approved for residential purposes, as well as for business purposes. What are you waiting for? Pick up your phone now to book for a site inspection.